Don’t just travel to Jamaica. 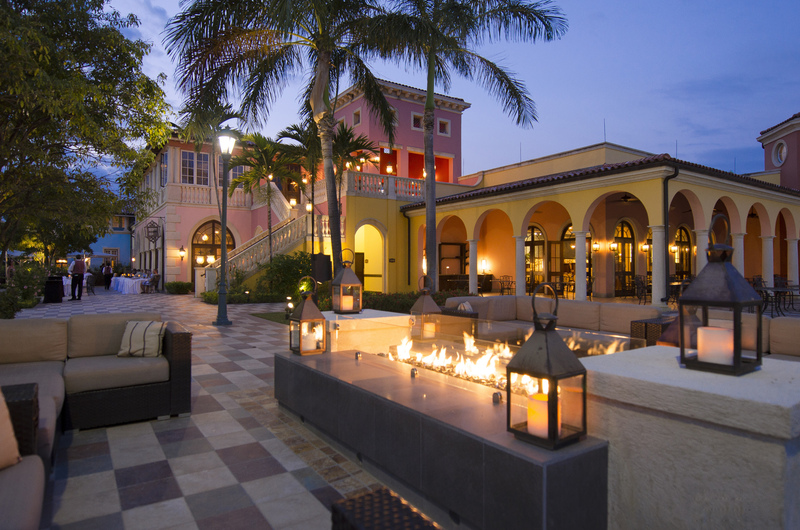 Immerse yourself in the island’s culture of relaxation. Find nature’s stunning gifts like breathtaking waterfalls and dense tropical forests, or perhaps you’d like to stay in civilization and visit the vibrant art galleries, which present the best in local art. In nightclubs, learn the local dance including lively “ragga” style, the celebratory “bruckins,” and the rejuvenating “ska” style. An island specialty, jerk chicken and pork are common street food where the meat is dry-rubbed with a spicy mixture before being smothered by a traditional sauce made of Scotch Bonnet peppers, allspice, cloves, cinnamon, nutmeg, onions, thymes, garlic, and salt. You can discover this local flavor on barbequed steel drums on the street or on the Jamaica Jerk Trail! 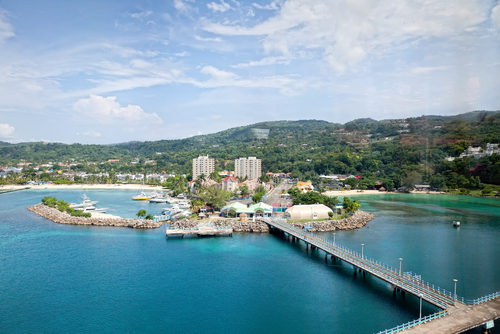 Tropical paradise awaits you in Montego Bay. Jamaica is divided into six main tourist regions, and on the west side of the island, Montego Bay, Negril, and The South Coast offer a variety of activities, guaranteed to please any traveler. Montego Bay is the tropical paradise you always dream of experiencing with powdery beaches and crystal waters; however, you can also enjoy fun experiences such as Margaritaville, a well-known bar featuring music by Jimmy Buffet, and Chillin Games Room with artificial snow slopes to conquer. Negril is the “happening” place with a lively nightlife on Norman Manly Boulevard, but it is also known for its fantastic beach, which is consistently rated as one of the best in the world. The South Coast region of Jamaica is a trip into nature with Treasure Beach, a six-mile stretch of coral and sometimes black sand beaches. East of it, see Lovers Leap, a 1600-foot cliff overlooking the Caribbean Sea, and bring your binoculars to see more than 290 species of birds in the summer months and almost double that during the winter season. 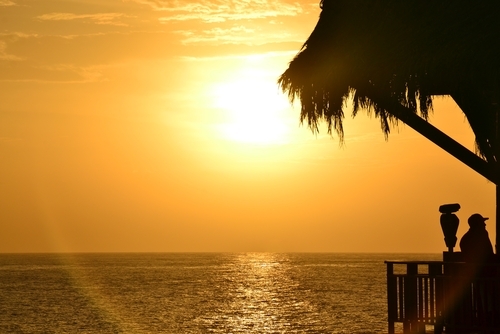 Discover jerk specialties and historic sights in Ocho Rios. On the east side of the island, Kingston, Ocho Rio, and Port Antonio highlight the natural beauty and the urban entertainment Jamaica offers. The largest city on the island is Kingston, the island’s capital, which is comprised partly of a tropical forest and partly an urban jungle. It houses the largest botanical gardens in the Caribbean, including the 2000-acre Hope Gardens. Known to be the setting of the first James Bond film, Dr. No, Ocho Rios also lures hungry tourists with its savory Ocho Rio Jerk Center for scrumptious offerings. Nestled between the famous Blue Mountain and the Caribbean Sea, Port Antonio is a picturesque town that captures the attention of photographers and celebrities alike. Climb to the top of Blue Mountain Peak or hike to the magnificent Reach Falls for an unbelievable nature adventure. 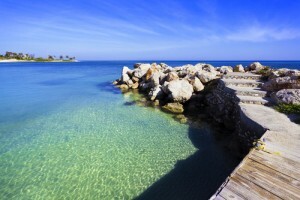 Jamaica is a traveler’s premiere destination in the Caribbean. Only an hour and a half from Miami and fewer than four from New York, Jamaica allows you to leave home in the morning and be working on your tan by the afternoon. Three international airports make travel once on the island a warm breeze, and with the official language English, you’ll be able to navigate the island like pro, even if this is your first visit. Stay in luxury at the Sandals Whitehouse European Village & Spa. Check out these great offers at GOGO Vacations, including deals for Sandals Whitehouse European Village & Spa and Beaches Ocho Rios Resort & Golf Club, and contact your agent to plan your first or next getaway to Jamaica!